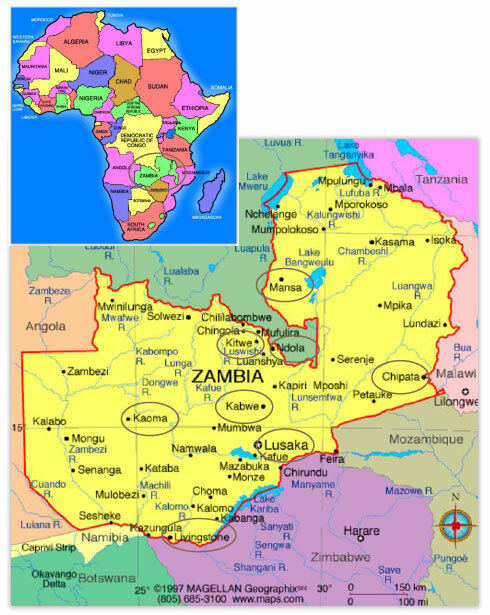 A very productive week occurred in January 2017, with FoAN (UK) and FoAN (Canada) working together in a joint venture to assist the perioperative nurses special interest group of Zambia (ZOTNIG) to devise national standards of perioperative nursing practice. 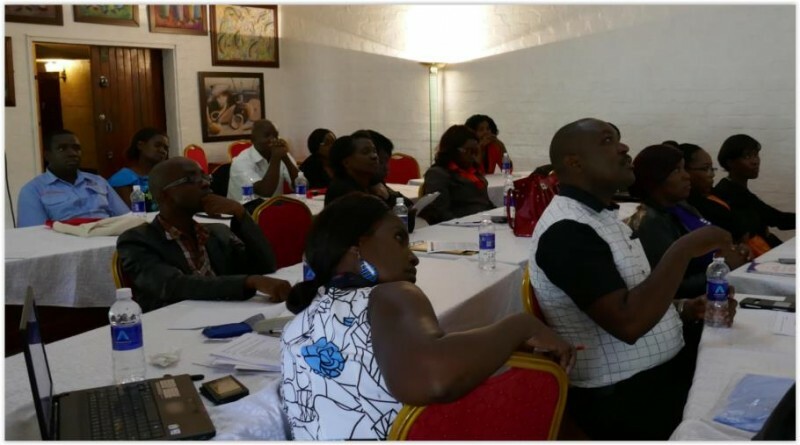 A group of 19 senior nurses from hospitals and perioperative schools of nursing across Zambia gathered together at the Ndeke Hotel, Lusaka for a week of hard work. Their presence had been coordinated by Judith Munthali, chairperson of ZOTNIG, and their hospital release enabled by the Permanent Secretary to the Ministry of Health. 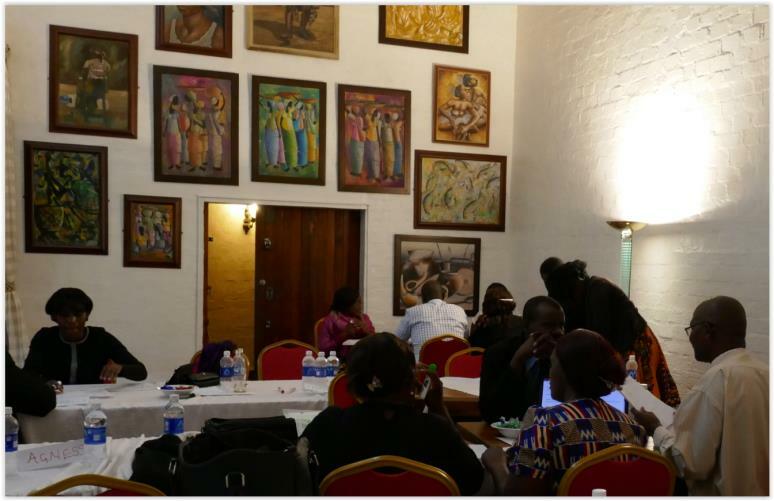 Four facilitators from FoAN (UK) and FoAN (Canada) travelled to Lusaka to deliver the program – Kate Woodhead (UK), Stephanie Freeman (UK), Sally Pentecost (UK) and Mary Knight (Canada). Monday morning began with a tour of the only tertiary teaching hospital in Zambia, to put the development of standards into context for us. It was very interesting, and the challenges faced in Africa are beyond our western understanding – with power outages common, even in the capital city. This results in instruments having to be high level disinfected rather than sterilized if necessary…. Each of us had brought some presents for the facility, and mine included surgical masks and hats, courtesy of a Winnipeg hospital, and a pair of goggles. My stethoscope is now put to good use in their recovery room. 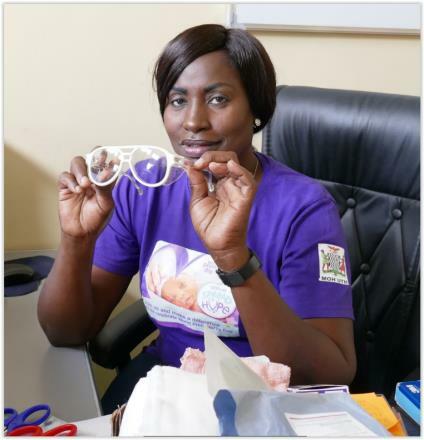 The goggles were particularly appreciated, as the HIV/AIDS prevalence is 15% nationally, with Lusaka’s being 20%. We were informed that each nurse receives one surgical mask which must last for one week. We began the program, after an ice breaker on how processes can be different but still achieve the same result. Throughout the week, presentations were done on each topic to remind delegates of international best practice, and to provoke discussion. 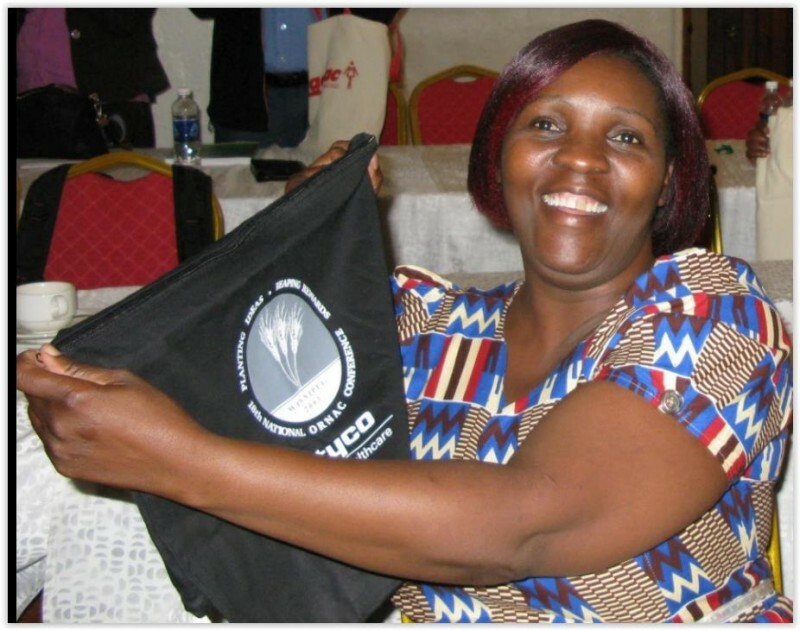 The presentations were delivered by the FoAN facilitators, and Judith from ZOTNIG delivered plans for the roll out of the WHO surgical checklist to operating theatres across Zambia. It was wonderful to have such a full team to assist with the presentations, but especially to facilitate the group work. Each draft standard was devised by a small group of nurses, with input from the facilitators as necessary. This initial work was then reviewed by the whole group at the end of each day. The FoAN team worked long into each evening, typing up and formatting the standards that had been devised and presented by the groups and critiqued by the entire group, so that final review, further edits and approval could be done the following day. Thursday was designated Canada Day, as FoAN (Canada) had contributed ¼ of the costs of delivering the program. The morning started with a short presentation on Canada by Mary, which along with pictures of our country, highlighted our animals which are very different from Africa’s! The picture of a bobcat brought much laughter! 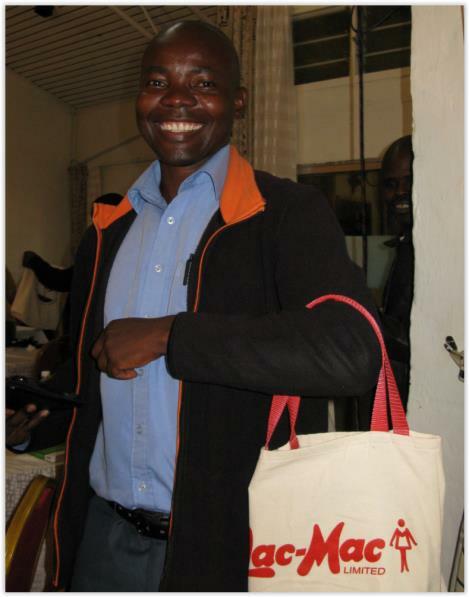 Zambians have a very sweet tooth, so the maple cookies I took for tea break were very much appreciated! At the end of Canada Day, I distributed “goodie bags”, which were (new) bags from Canadian conferences I had attended and filled with pens, pencils, highlighters, post-it notes, maple candies and many other items. It was a fun end to a special day! By the end of Friday, 20 standards of practice had been completed, all of which had been reviewed, agreed, referenced and formatted. It was agreed that the standards would be reviewed by ZOTNIG in 2019. The work was presented to the Permanent Secretary at the Ministry, with Kate, Stephanie and Judith having a short visit with him on Friday afternoon. The Permanent Secretary, who is a surgeon, was delighted and invited us back to assist in devising some further standards. 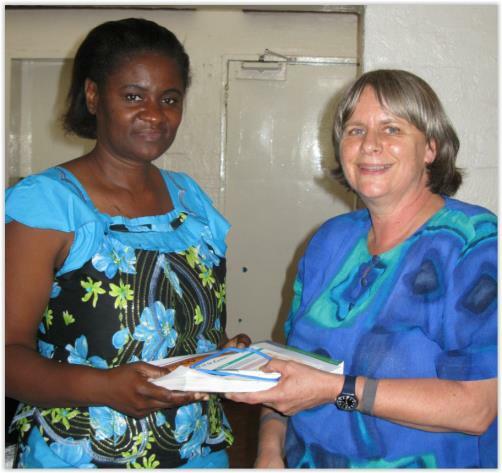 The Nursing Directorate are interested in FoAN’s Leadership program and will look for some funds to assist the return. 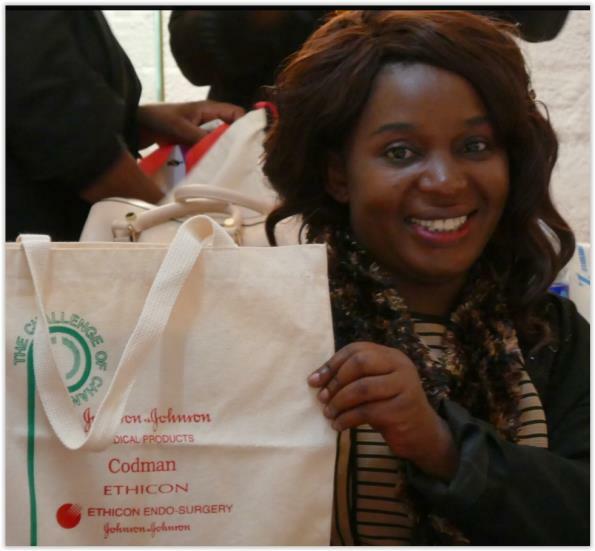 Thanks to a generous airline baggage allowance on Ethiopian Air, each delegate received a textbook along with their Certificate of Attendance and eyewear. It was wonderful to see my old Berry & Kohn textbook go to a nurse manager from a rural facility who was hoping he could receive an updated version of the textbook! Our visit ended with a BBQ and social evening arranged by the delegates, a lovely way to end a most interesting and rewarding week! 1. What have you enjoyed? The commitment to work as a team and all the hard work to formulate perioperative standards; the lectures were detailed and had the required content; the facilitators were knowledgeable and delivered the relevant material. The fact that I participated in the making of standards has made me happy. Even the whole workshop was great. The possibility of extending the workshop to 10 days (from 5); Time to look at every aspect of care was not sufficient, but however the content was okay as it covered the major standards of care. 3. What will you do differently as a result of this course? We definitely will be guided by the standards and thus improving patient care in the theatres; we will have evidence - based practice as we do our work. I will implement the counting of all instruments used during surgery because there is evidence that even large instruments can be left in the patient as we saw during the presentations; I also look forward to ensuring that patients keep warm during surgery by ensuring warm fluids and/or blood are given during surgery to prevent hypothermia. To advocate for the local policies on topics like surgical swab count; Promote team work among the surgical teams; Ensure that patients undergoing surgery are not exposed to excess cold To avoid hyperthermia. 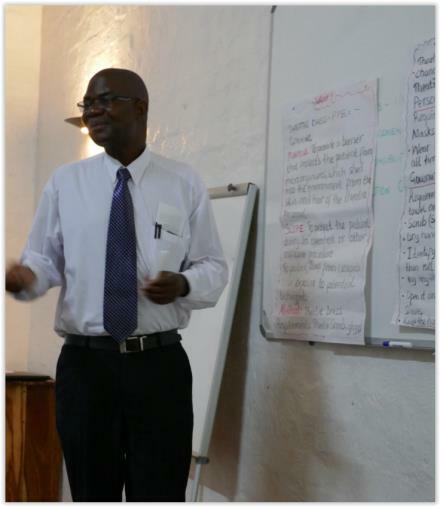 It was an honour for me to be able to represent FoAN (Canada) and participate in delivering this program in Zambia. Thank you to FoAN (Canada) for enabling me to attend! 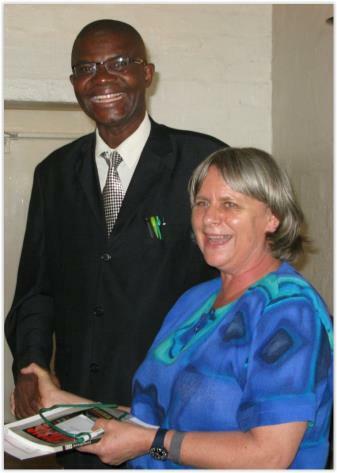 Angela Konstanz and Kate Woodhead, FoAN (UK), and Jean Naudé FoAN (Canada), travelled to Gaborone, Botswana in March 2012 and taught 11 senior theatre nurses in a five day workshop how to train others in order to sustain good practice in their hospitals. This was the fourth and final visit in the series of workshops developed by FoAN (UK). However, the participants asked FoAN (UK) to return in the near future to give them updates on infection prevention, theoretical and practical knowledge. We were welcomed to Botswana by Mr. Colo Boitshoko, the General Secretary of the Nurses Association of Botswana (NAB), our hosts for the week, and a representative for the Chief Nursing Officer, Ministry of Health. FoAN (Canada) sponsored one day of the workshop, paying for the participant’s meals, travel and lodging for the day. 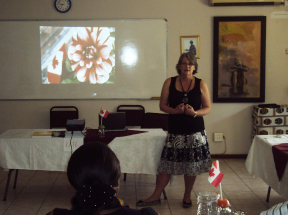 Jean introduced the day by giving a slide show of Canada. Canadian flags, pens and pins were handed out to the delight of the nurses. The participants were extremely grateful and thanked FoAN (Canada) profusely. In addition, we visited Princess Marina Hospital in Gaborone. We were greeted by the theatre Matron and given a tour of the Main and Gyne theatres. The theatres were spotless although lacking in supplies. Rows of empty carts and cupboards showed the dire need for such basic supplies such as sponges, sutures, masks and gloves in the theatres, and oxygen equipment in the recovery room. Surgeries are actually cancelled due to lack of these basic necessities. 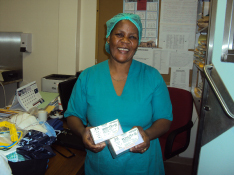 The Gyne theatres were badly in need of new floors, light bulbs, mattress pads and furniture. The Matron was delighted with the supplies we brought, and asked Kate to write a report on any considerations which we may have following our visit. As a non theatre nurse and recently in the position, she was looking for feedback and support from the visitors! The final morning was spent on a’ Leadership Management’ panel discussion. 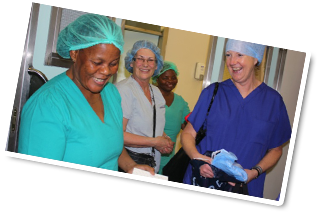 One of the outcomes of the visit was a renewed interest in reviving the Botswana Perioperative Association. With encouragement and sharing of materials, the group is determined to have the association active again. 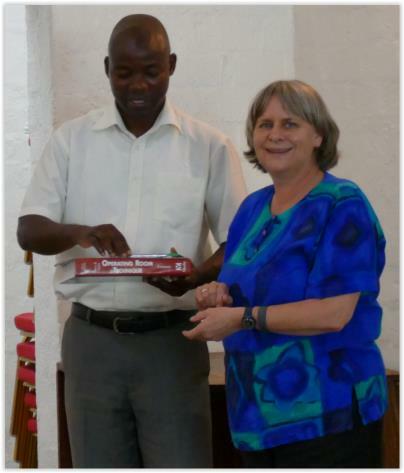 At the closing ceremony, an official ‘handover’ of the nursing textbooks we brought for the NAB library was made to Mr. Boitshoko. 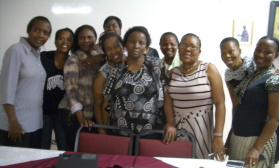 A sincere thank you goes to the Nurses Association Botswana for all their assistance in planning and execution of the workshop. 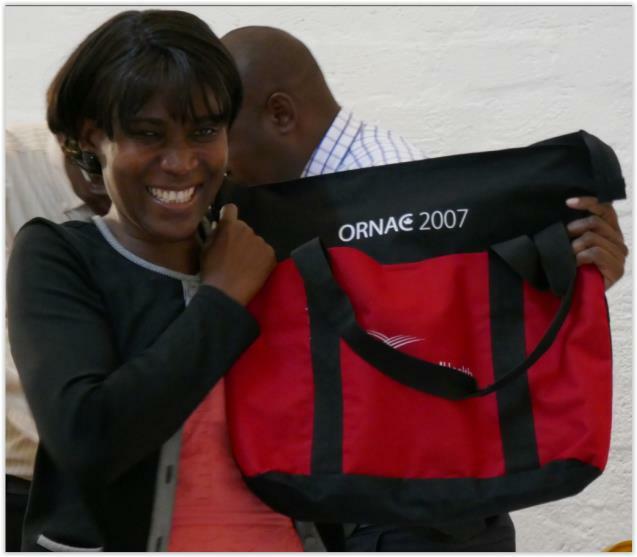 Irene, NAB secretary, did an amazing job photocopying, phoning and generally taking good care of us. 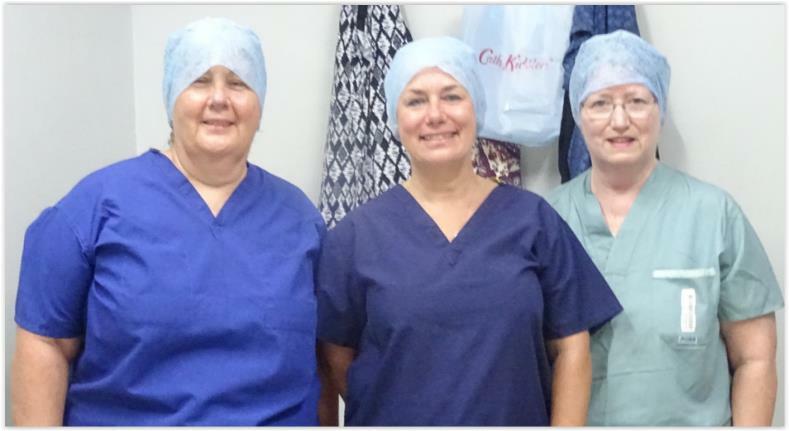 Also thanks to “our team”, Kate and Angie were amazing to work with and between us we discovered that combined; we had over 100 years of perioperative experience! I am extremely grateful for the wonderful opportunity to visit Botswana and, with others, help to make a difference in our African colleagues’ perioperative lives. The impact statements from the nurses are proof positive that the topics delivered have been timely, appropriate and welcomed. It is sobering to realize that others who have so little, struggle every day to deliver good patient care, meanwhile doing it with humour and good grace. We are so fortunate to have basically unlimited resources and, in comparison, nothing to complain about at all.